Rap or hip-hop mixed with heavy metal is something dreaded because so many tried and failed at it. Recently, Hacktivist has given me (and other people) hope for the success of the surgery. Now, Scare Don’t Fear comes with an album, Destroy | Rebuild, with an other perspective than that offered by above mentioned Hacktivist. Instead of taking pure djent as a base, they seem to take in influences from metalcore, electronic and dance music, as well as a little bit of djent, too. 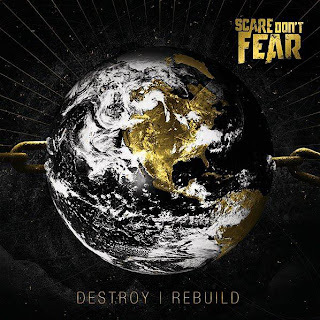 The rap is good, the scream is good, the music is good… Destroy | Rebuild is good.